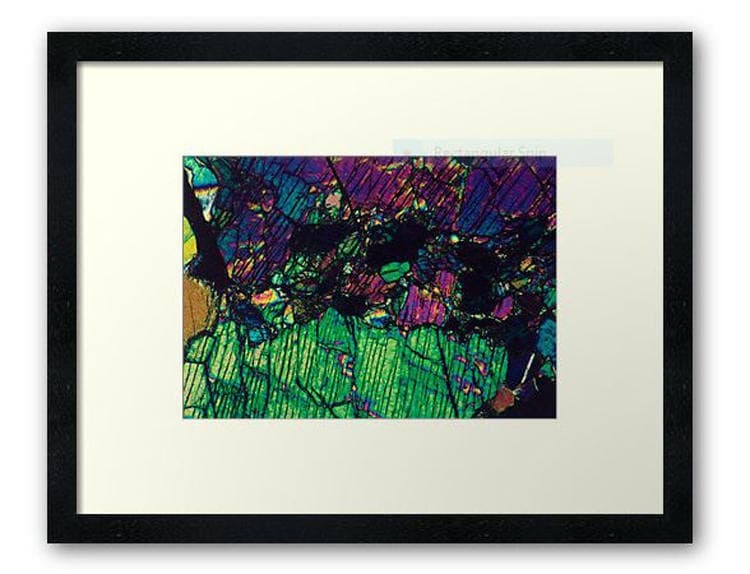 This photograph was taken by Sue during her career as a geologist and depicts a magnified view (under crossed polars) of an agglomeration of pyroxene crystals. 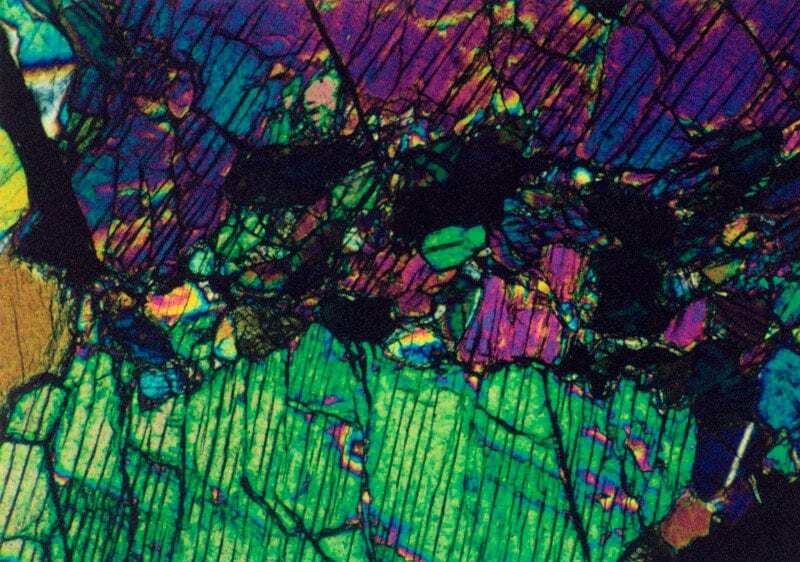 This rock thin section was viewed at a thickness of 0.03mm (30µm). This photo is shared in Sue’s memory. 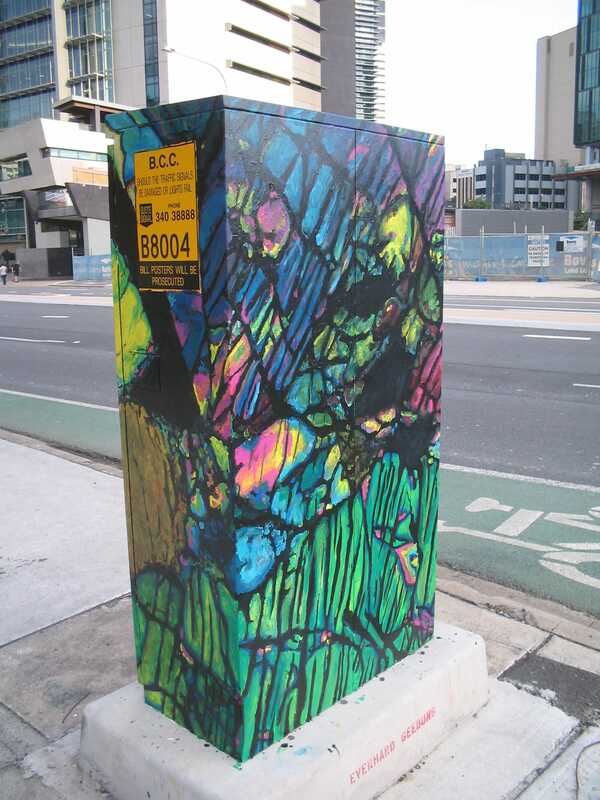 It has also been hand-painted on a traffic signal box at the Roma Street Parklands in Brisbane (see pic). 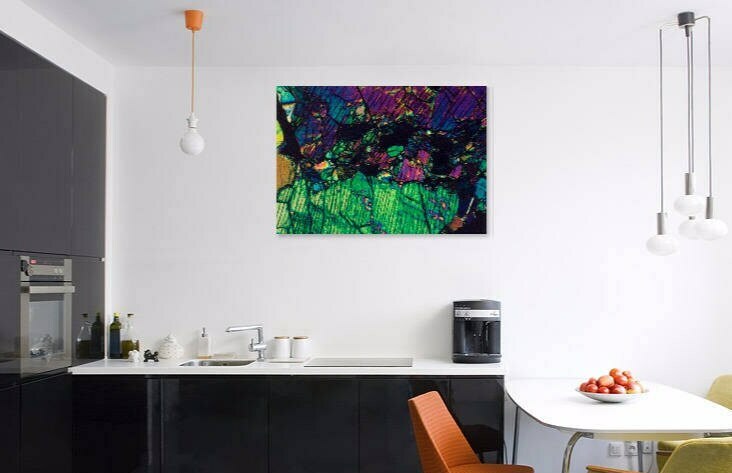 All of Sue's mineral photos can also be produced on ceramic tiles in a variety of sizes, please check out Mineral Feature Tiles in this shop for photos and more details on this product.